I have started reading The Great Gatsby on three previous occasions and each time I’ve stopped before the end of the first chapter. The characters in that first chapter are white supremacist rich people, who lie around in a mansion and whine. They drink disinterestedly while our narrator impassively reports on them as though they were perfectly normal. It’s kind of nauseating. So this time, I downloaded an audio book version and went for a walk. I am happy to say that I made it past the first chapter and into the second. Here it becomes clearer that the author also feels sickened by his characters. When Tom Buchanan breaks Mrs Wilson’s nose with the flat of his hand at the end of chapter two, there is no longer any doubt; these people are awful. What’s it about? The Great Gatsby is the story of a summer spent among the super rich of the 1920s. One man Jay Gatsby gives extravagant parties at his Long Island mansion every weekend, but has a mysterious past. Another power couple struggle with infidelity. There are at least three murders, an underground crime syndicate and a deeply disturbing obsession. Is it any good? 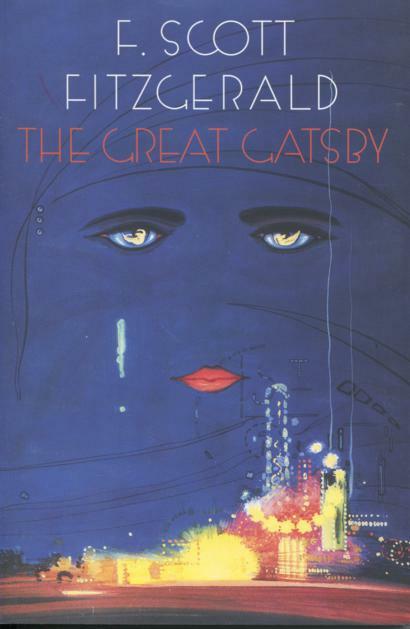 As a work of satire against the unfeeling upper classes, The Great Gatsby hits its mark hard, The book is full of excellent one-liners, including a dismissal of the white supremacy from chapter one as “impassioned gibberish” and the nasty complement “her voice is full of money”. But it’s not just the rich who feel the sharp edge of Fitzgerald’s wit. Mrs Wilson is firmly middle class despite her aspirations and everything about her character from her speech pattern to her violent death is grotesque. Gatsby himself doesn’t escape criticism and is also the victim of a violent death. Which brings me to the wider theme of the book. Yes, the indolent rich are awful, but they will get away with it. The only people who suffer and die in The Great Gatsby are those born without money, born outside the elite society and whether they shun riches or desire them, the money will kill them in the end. Why is it on the list? The answer is probably High School reading lists. The book is short, the themes are simple and numerous, the language is rich, the parties are exciting, the deaths are gruesome and there are a number of movie versions of the book to help out students who are hard-of-reading. It’s a very teachable book. I can imagine numerous lesson plans and I’m only a bookseller. I also think The Great Gatsby is on the list because of America’s complex relationship with money. American society requires money for everything. Healthcare, retirement and other social safety-nets found in first world countries are just not available in America. But if you have enough money to escape the metaphorical wasteland, the continued pursuit of greater and greater wealth often looks less gorgeous than the things you can buy with it. That’s a pretty depressing take-away for a book with some funny drunks and exquisitely detailed parties.